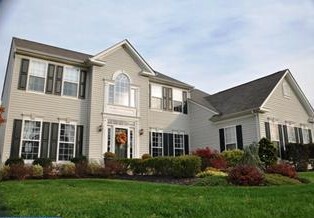 5Investing in Gloucester County has been becoming increasingly popular. The housing market is very lucrative and there are a lot of different opportunities in the area. With a wide variety of Gloucester County homes for sale, it is easy for investors to find foreclosures and potential revenue properties. An experienced real estate agent can help you find the best properties to suit your needs. Learn more about how a Gloucester County real estate agent can help you. The truth is that every neighborhood is a little different. For example, if you are looking for a foreclosure that you can flip, you are going to want to look in a desirable neighborhood. You don’t want a home located in an area where homes stay on the market for years without a buyer. If you are hoping to rent out your property, you might want to focus on an area that is close to attractions or has a strong community. The real estate agent in Gloucester County you work with should have a good understanding of each individual neighborhood. This will help you narrow down your choices and get a better understanding of what’s available. If you are investing, a real estate agent is crucial to finding a good property. A great feature of Gloucester County is that there is always development. New homes are being built everyday, which encourages people to move frequently. This means that older houses are always available, making it easy to find an investment property. Gloucester County real estate New Jersey is very diverse, so you will have plenty of options. If you don’t want to invest in a traditional single-family home, you will have no problem finding condos, townhomes or apartments on the market. Condos, for example, can be an excellent choice for a first-time investor because of the low maintenance involved. Because most condos in the area are larger than apartments, you could attract a renter very quickly with a little bit of effort. All types of real estate goes into foreclosure. If you are looking for a cheap house for sale in Gloucester County, you will have plenty of options. Flipping condos or single-family homes is popular in New Jersey, and there is plenty of opportunities available in the area. A real estate agent Gloucester County can easily help you find an investment opportunity that works for you. Another notable feature of Gloucester County is the growth of active adult communities. There are several neighborhoods dedicated to providing residents ages 55 and up with everything they need. Even if you aren’t a senior citizen, you can still find plenty of investment opportunities in these areas. Active adults 55 and over still rent apartments or single family homes. Flipping a house in one of these communities can also be a very interesting and worthwhile experience. Working with a realtor in Gloucester County is recommended if you are hoping to invest in one of these communities. Like a typical neighborhood, most communities have their own atmosphere and values. With the experience of a realtor, you can better understand these values and choose a property that is a good fit. First time investors can also consider retirement communities. These areas have just as many opportunities as a standard neighborhood does. Many have less maintenance involved as well, due to active home owner’s associations. Start browsing online listings for these communities today to learn more. Finding the best Gloucester County real estate agent can be easy when you know where to look. Roxanne Ardary has plenty of experience working in the South Jersey area and can help you find a home in an ideal location. Whether you are hoping to invest in the area or are looking for a foreclosure for yourself, she can help. There is a wide variety of housing styles and communities available in Gloucester County. By working with the right agent, you will be able to find a property that suits your lifestyle. Learn more about the individual neighborhoods in the area by browsing our website. This can help you find good investment properties in the area. 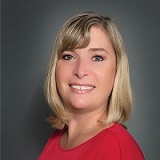 As a Gloucester County realtor, Roxanne Ardary has years of experience helping investors find South Jersey properties. The area is filled with beautiful homes, condos, townhomes and more that anyone would be proud to call their own. There truly is a lot of opportunities here for the right investors. If you are interested in investing in real estate in Gloucester County, contact us today. A real estate agent Gloucester County can trust will be happy to help you find new listings or foreclosures in the area. Call us today to learn more and see how easy it can be to find an investment property in the South Jersey area.